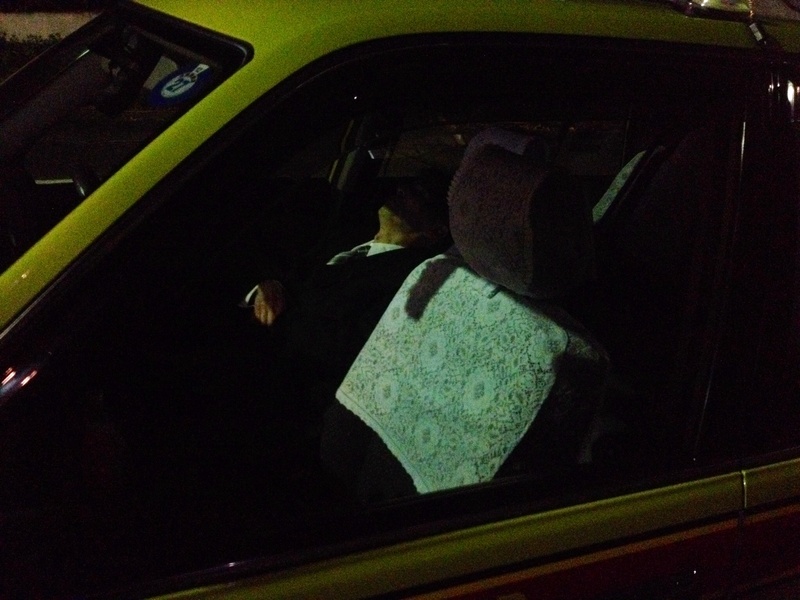 On my morning commute, a woman finds a place in the sun. Some perfumes really do smell different in winter. 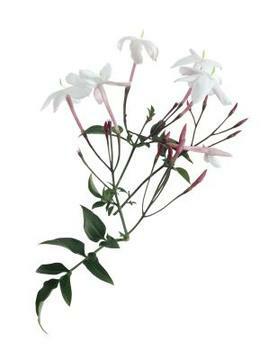 I first bought Night Scented Jasmine a couple of summers ago for its hints of fresh, white and pink jasmine flowers seen through frosted glass, and quite enjoyed it. As jasmine perfumes go, though, it was certainly on the timid and underwhelming side (most jasministas would probably hate it) and it somehow found itself pushed to the back of the cabinets for a while until a couple of days ago, when its singular and rather delightfully subtle and fresh bouquet appeared out of the blue in my mind. To my surprise, this now works perfectly at this cold time of year as an understated work scent. Where classic English perfumery is often deemed to be too pallid and polite, particularly the house of Floris, which rarely ‘pushes the envelope’ and just smells of country hotel bathrooms, for me that ‘politeness’ can be its strength. Although I like a variety of jasmine scents, it is nice to have one to hand that is non-indolic and fulsome, but rather tightly compacted, cool and subtle. 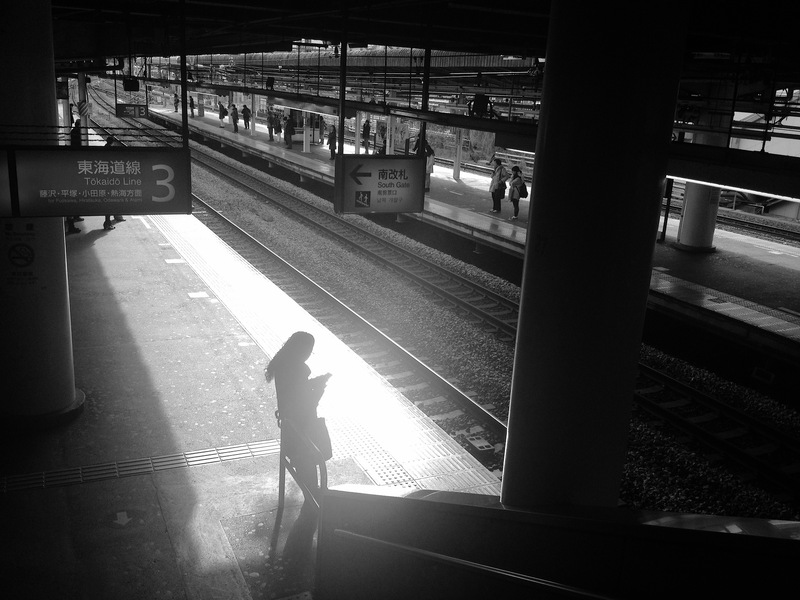 Unspoken, almost. In colder temperatures (now hovering around freezing in Japan, as it always is from January to March before the cherry blossom, with intermittent snow storms) this perfume really blooms. Where previously I hadn’t really been aware of there being a violet note – a note I tend to be a bit anosmic to in any case – now the scent feels intensely violet centred, with a very English, frosted powdery jasmine and rose accord complemented by a quietly lush bouquet of soapy white flowers and piquant blackcurrant buds. In the undertones is a vetiverish, ‘amber, sandalwood and musk’ base accord, but when Floris say amber and musk it really just means a light and delicately behind the scenes anchoring. As I write this I am about to take a bath and go in to work to do some extra classes this Saturday morning, and I am literally excited about coming out of the water, getting dressed, and spraying on some more of this Floris, which to me over the last couple of days has felt incredibly comforting yet also curiously elegant, wreathing about my person like an aura. The green, violet accord puts me in mind of Grey Flannel, a scent I have always loved; the central floral theme of violets, jasmine and rose like a winter- in-summer memory of a forgotten English garden. 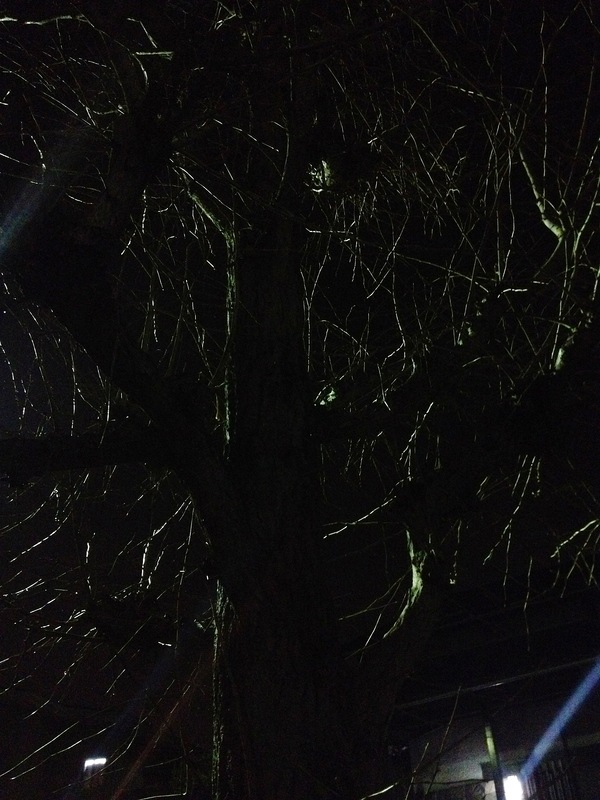 It’s icy cold here tonight. 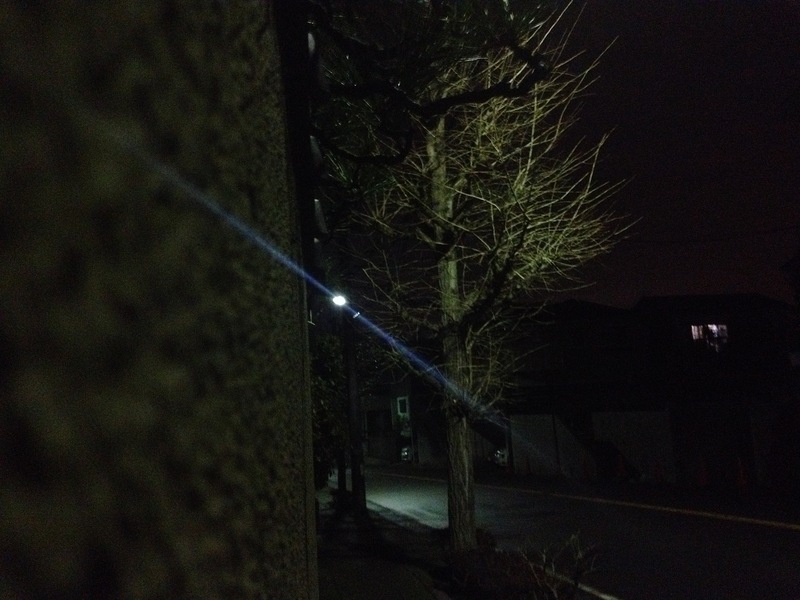 We live in quite an old Japanese house, and in winter it gets really cold. 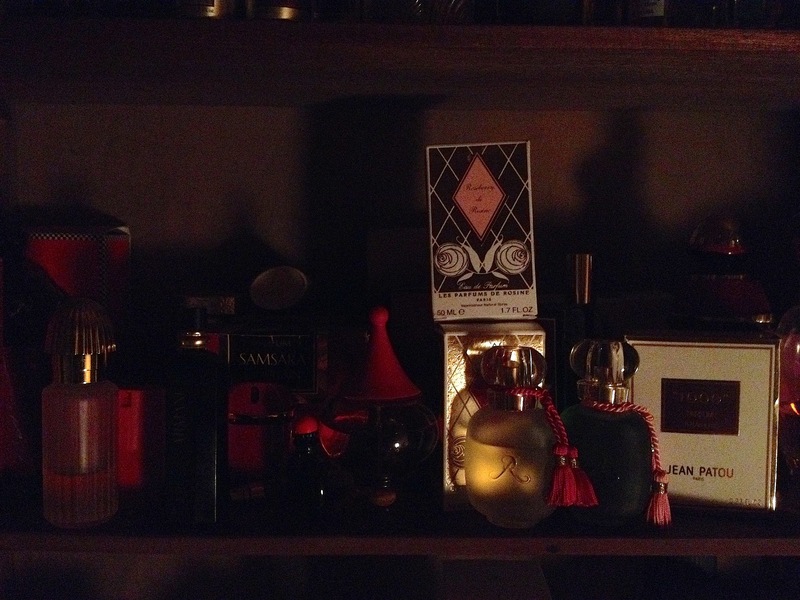 Most of the perfume collection is housed in old antique cabinets in the tatami room (where we sleep with the cat), now shuttered up and covered in wall hangings to keep the warmth in at night and thus dark; catacombs of perfume. I have decided not to change anything for the time being nor rearrange what is there for these photos. When spring comes and I can let in the sunlight I will clean it all up and present it in its full glory, perhaps. 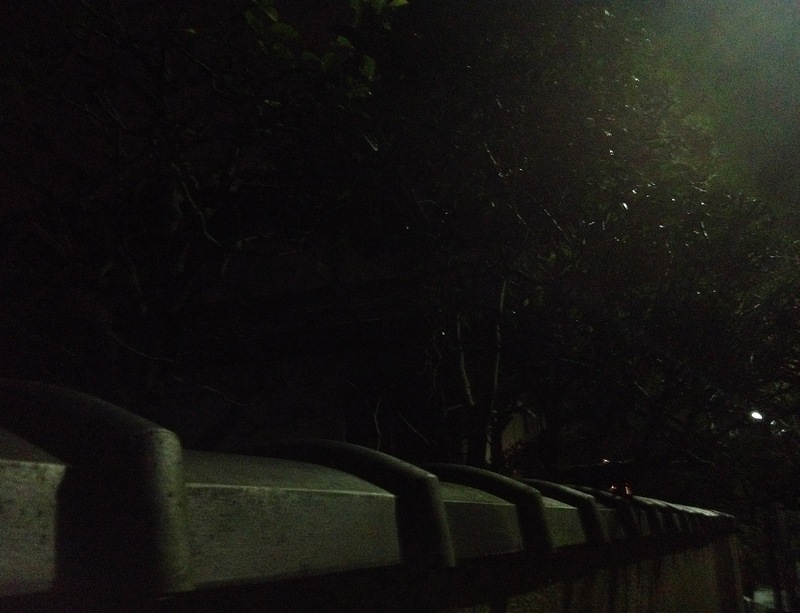 Here, though, is a glimpse, as it is this morning. 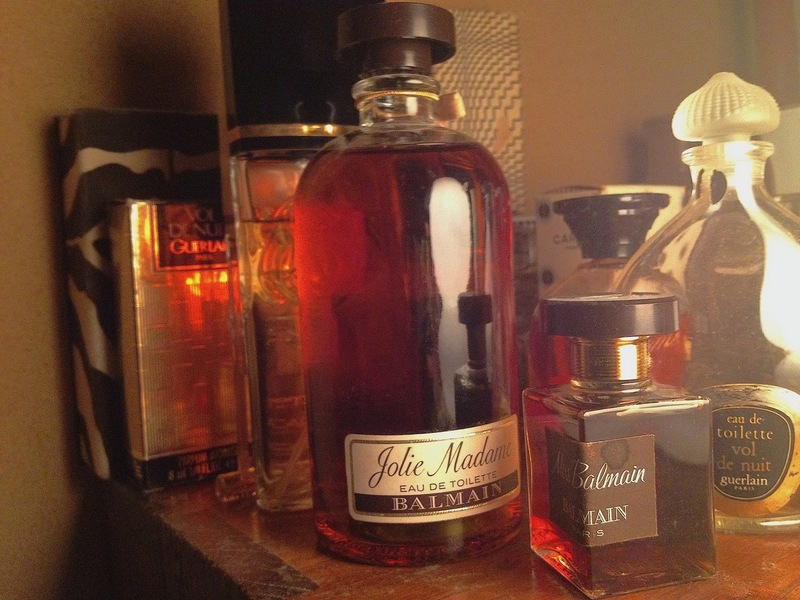 The first photo you see above is a small section of some of my most precious treasures, including the vintage Balmain parfums, as well as a lot of magical Guerlains, like my Vol De Nuits, Chamade, and Shalimar. I reach for these a lot. On the first shelf of the main armoire we have what you might want to call ‘les noirs’. 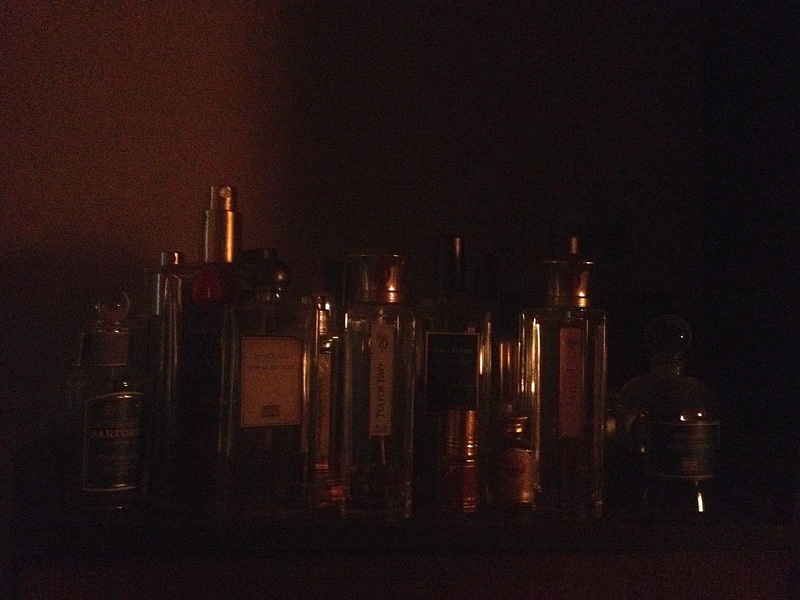 Though things aren’t really ordered thematically, and what you see is only the perfumes standing at the front ( I often have no idea what is behind and am delighted on rediscovering things), there is a basic taxonomy to the collection. 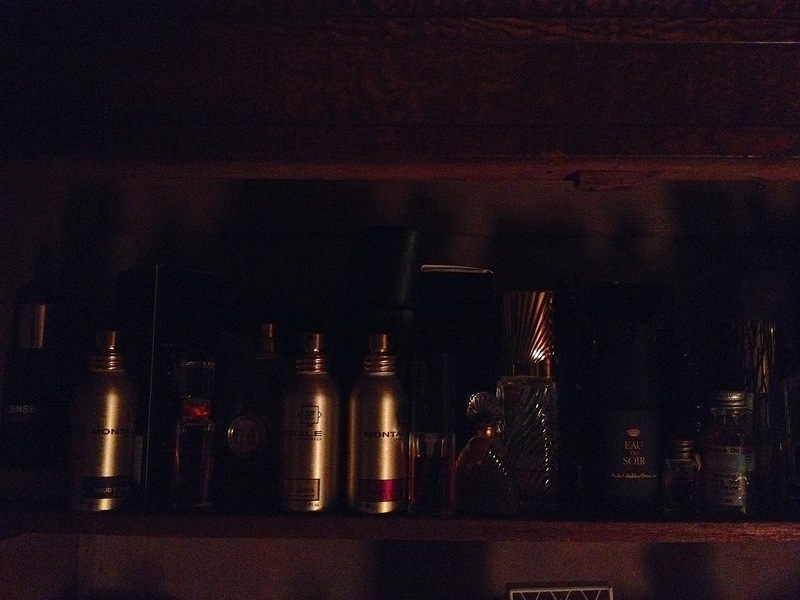 Here are all the fierce oudhs, patchoulis, roses and night perfumes like Eau Du Soir, the Montales, scents I feel like wearing on big nights out. 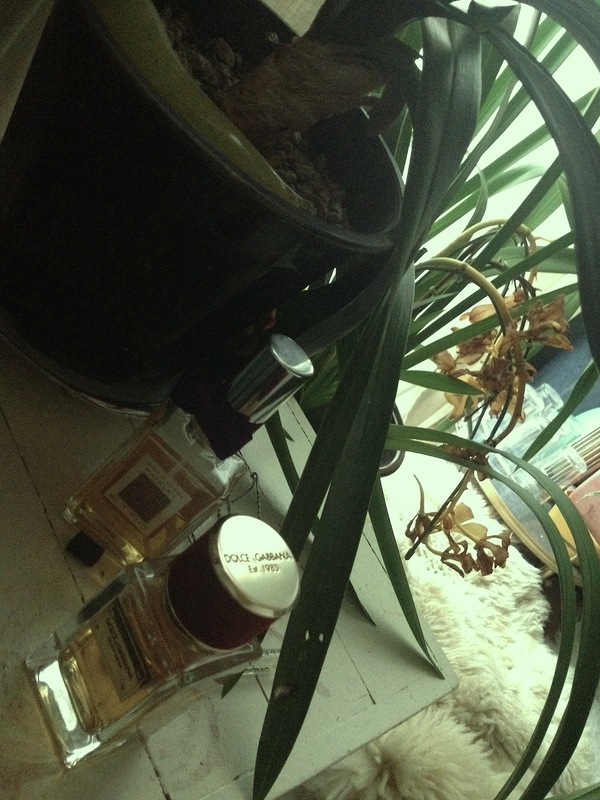 My more masculine side (though the nifty of eye will spy a vintage Diva parfum as well, so so much for that). On the shelf below we have what you might call ‘Les Rouges’: more sumptuous affairs, things like Samsara, Parfums De Rosines and plenty of other things tucked away for a whim. The three shelves below that are jam packed with things in disarray and will not be debuted today: they will have to wait until later. Moving on to the smaller cabinet, with its glass windows and mirror, we have an eclectic section of vintage beauties plus Diptyques, Goutals and the like. When I do this one properly for guests in spring and summer it looks really nice and people always make a beeline for it (imagine how much fun this room is for dinner parties: the PERFECT post dinner entertainment as people ooh and aah and reach out to try different things out). The space below that is all my classic men’s aftershaves: Kouros, Armani, Krizia etc for when I am in that kind of mood, but it is too much of a mess to be presented right now. 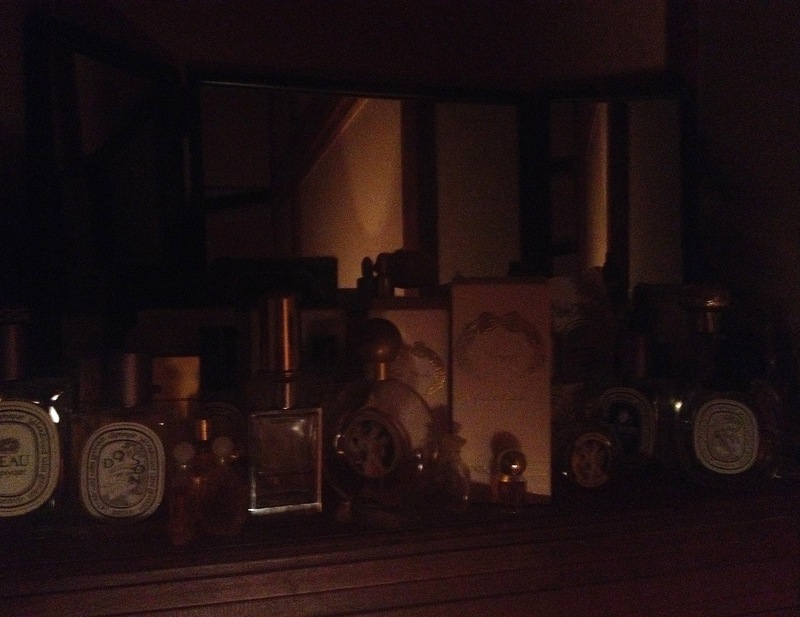 For a more gentlemanly angle, instead we will move on to the the smallest cabinet As with all these pictures you can only see the scents in the front row, but the majority of these are Lutens, Penhaligons and the like, many of which Duncan wears. I like this section a lot actually, as it looks quite compact, classic, and inviting. I know it all looks a bit dark (this is the only room like this; an insulated cocoon), but at least it’s good or perfume preservation. 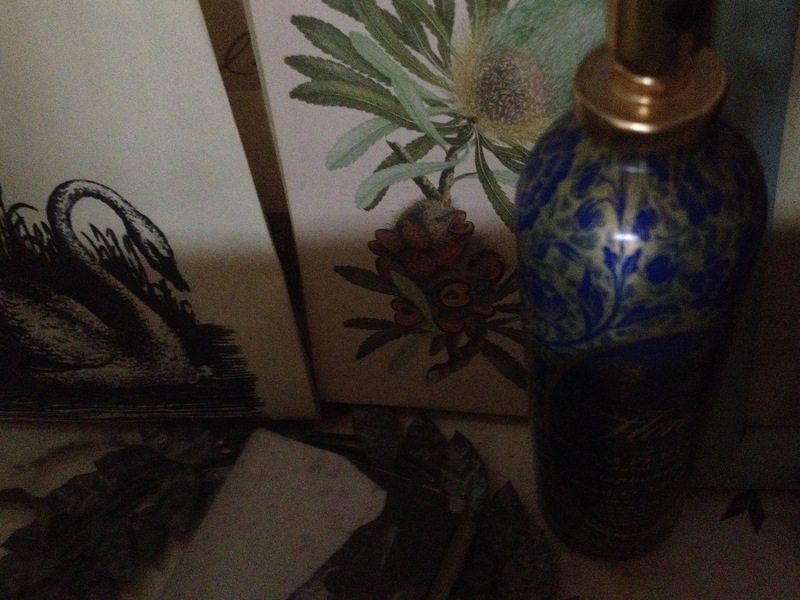 and for fresher scents, what you might want to call ‘les verts’, there is always the selection of perfumes in the bathroom as well. Lots of vetivers, and green teas and citruses. Things to spritz on on a summer’s day. 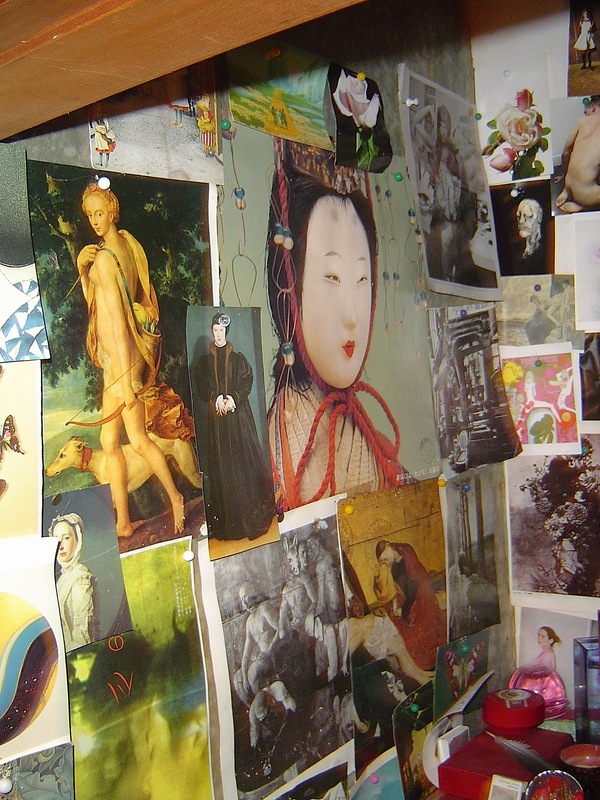 I need variation and eclecticism. So anyway, this presents about half of the collection. 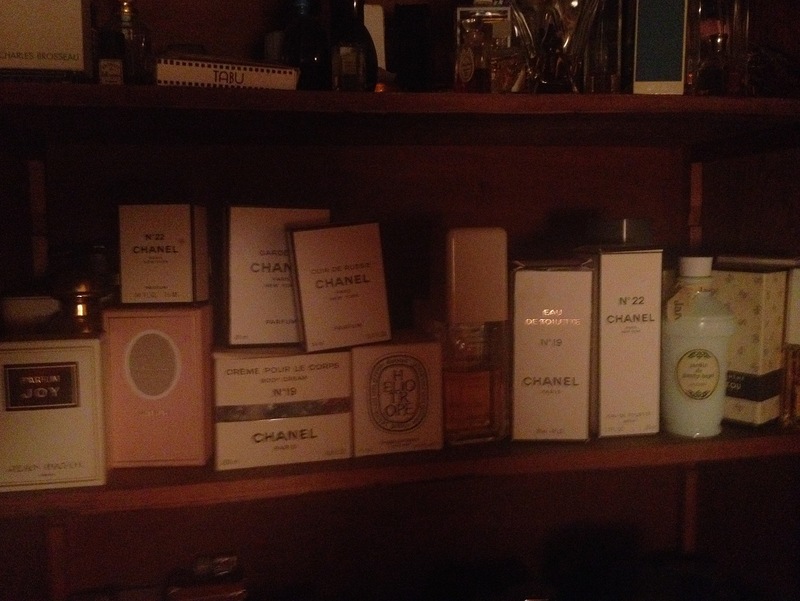 I think that my credentials as a perfume maniac are thus probably now assured. 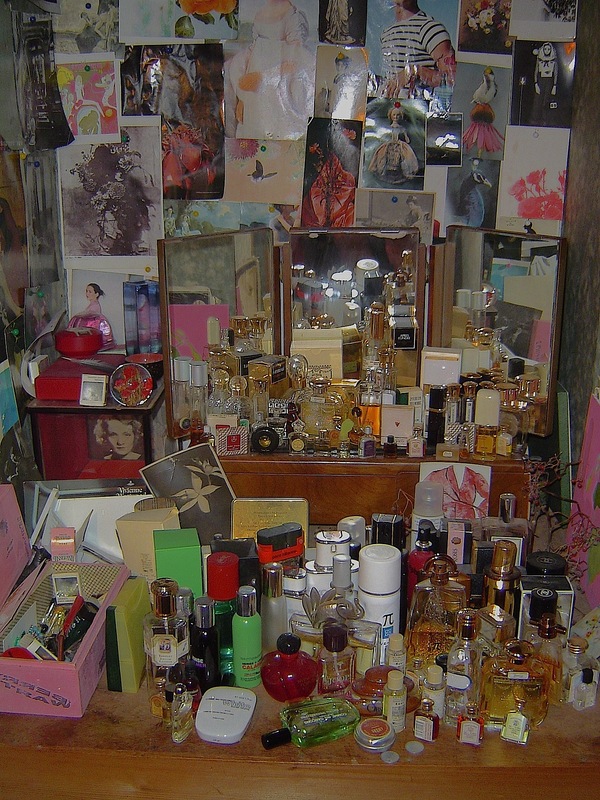 D has unearthed this picture from the old house around the corner: the previous perfume cabinet…..
MY HOW IT HAS GROWN IN THE MEANTIME.